Database administrators could be adding more value to your business. Unfortunately, they have traditionally faced the time-consuming tasks of searching backups and downloading or extracting the entire database to retrieve one item. This is completely unsustainable given today’s pace of business. Fortunately, Cohesity’s DataProtect and Ontrack Power Controls for Exchange deliver rapid, granular object recovery, eliminating the need for full restores and slashing recovery time objectives (RTOs). Perform granular search and restoration of mailboxes, messages, attachments, and other Microsoft Exchange Mailbox Items without doing a full restore. Stop having to scour through appliances to find the exact backup version of a Microsoft Exchange database. Recover individual objects quickly from large data sets. Deliver granular best-in-class recovery with Cohesity’s DataProtect and Ontrack PowerControls for Exchange, a forensically sound email management tool. Boost operational efficiency with a fully integrated data protection solution. 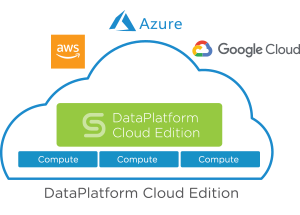 Replace multiple data protection silos (e.g., target storage, media servers, master servers, and cloud gateways) with one solution for backup, recovery, replication, cloud tiering, archiving, and target storage. Manage backup attributes and reports through a single pane of glass. Eliminate the costs of data migrations and forklift upgrades. Gain the ability to recover individual objects with near-zero RTOs to delight customers and scale as you need to rather than invest in upgrades for secondary workloads. Stay in control of your Microsoft Exchange backup files. Understand what PII is in them, where they reside, and where they’re going with Cohesity. Protect all of your Microsoft Exchange data and streamline compliance with today’s stringent data protection policies and tighter service-level agreements (SLAs). Cohesity’s rich analytics makes it easy to understand trends in storage utilization, reclaim unused resources, and create the summary or detailed reports with the click of a button. Make sure your core IT systems can be recovered. Cohesity supports Microsoft Exchange Server 2010 SP3, Microsoft Exchange Server 2013, and Microsoft Exchange Server 2016 for VMware guest with Cohesity Platform v.3.5+. Get all of the advantages of cloud cost and scale with cloud-first architected Cohesity. Cohesity public and private cloud support from Amazon Web Services (AWS), Microsoft Azure, and Google Cloud combined with its inherent context awareness, eliminate the need for backup software and other ancillary backup infrastructure. Built with Google-like web-scale design principles, you can trust Cohesity for even mission-critical workloads like Microsoft Exchange Servers. Scale-out infinitely, yet pay-as-you grow, simply adding nodes to a cluster without any downtime. Looking to Simplify Data Management of Your Microsoft Exchange Workloads?